When you travel to a place that uses a language you don’t know, things can be challenging. Where’s my hotel? Where can I get something to eat? What sign means “Bathroom” and which is which? Fortunately, Google Translate has a new app that can help. With it, you point your cell phone’s camera at the sign and Google Translate converts it to English and replaces the text in the picture with it. In your cell phone you see the regular image except for the signage which appears now in English. But you don’t have to travel to try it out. 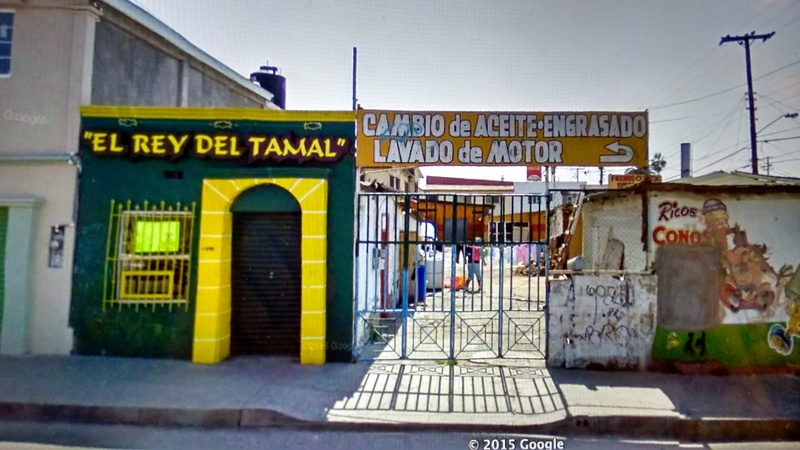 Instead, if you have a normal PC with Google Earth, you can go there in Google Earth, drop down on some interesting street in street view and then point your cell phone with Google Translate at your PC’s display to find out what the sign says. 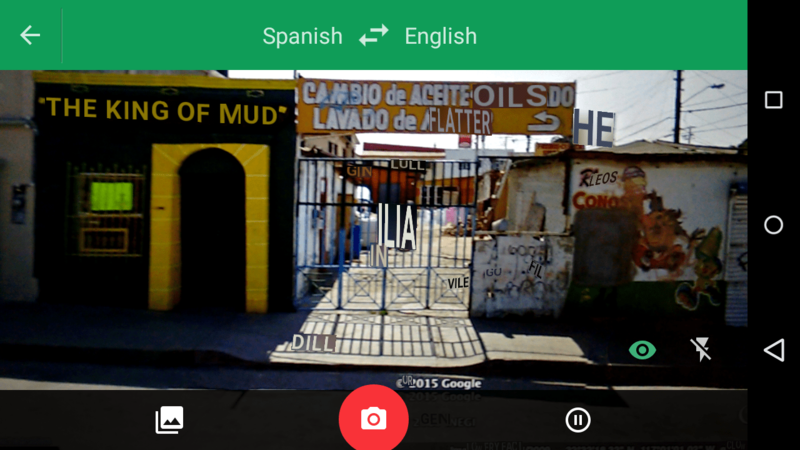 Here’s an example on some minor street near the border in Tijuana, Mexico. First, here’s what it looks like in street view (on the PC using Google Earth) as if you were really there. “El Rey Del Tamal” — What’s that? From the store front, it could be anything. Indian food restaurant? Auto parts for the adjacent “Motor” place? House of ill-repute? When I point my cell phone at the PC’s screen, Google Translate (on the cell phone) shows me this. Beauty parlor featuring mud packs? A place where I can get a mud bath? Watch naked women mud wrestle? Well, whatever it is, I don’t think I’ll need to choose which kind of Nan I want. When you find a good sign, point your cell phone at the PC’s display and see what Google Translate says it means. If you find something interesting, be sure and get screen captures on both the PC and your cell phone, and then post both pictures somewhere (Facebook?) and let me know. Don’t forget to bring an old towel for the mud bath!